After completing his best season in college, WSU's Hercules Mata'afa has declared himself eligible for the NFL draft. Washington State defensive tackle Hercules Mata’afa will skip his senior season to enter the NFL Draft, he announced Sunday via Twitter. 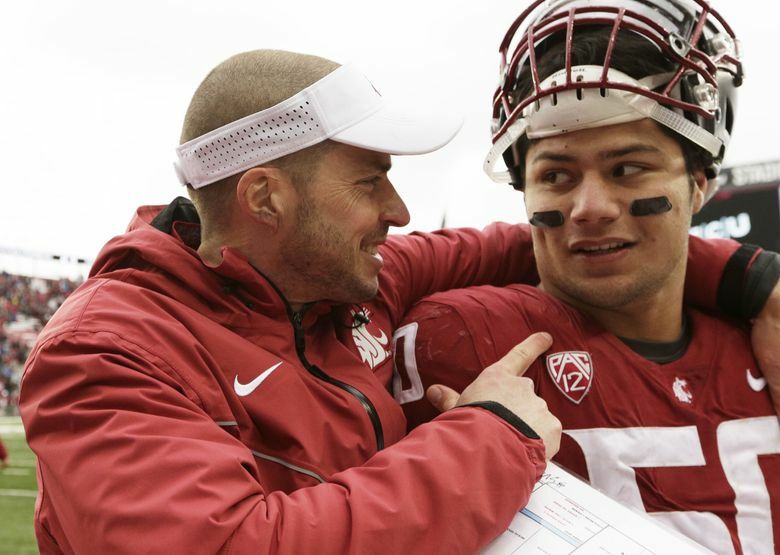 “I would like to thank the entire Coug Nation for all the love and support you’ve shown me throughout my four years in college,” Mata’afa tweeted. Mata’afa, a redshirt junior from Lahaina, Hawaii, is coming off his best season as a Cougar. He was a consensus All-American, finished as an All-Pac-12 first team selection and was named the Associated Press’ Pac-12 Defensive Player of the Year. The 6-foot-2, 252-pound defensive tackle set a WSU single-season record with 22.5 tackles for loss, and his 47 career TFLs are the second most in WSU history. He’ll finish his WSU career with 22.5 career sacks — fourth most in WSU history. As an undersized college defensive tackle, Mata’afa projects best as a rush linebacker at the next level, but he’ll have to show NFL teams that he has the physical ability to play a new position. His “tweener” size could affect his draft standing, but throughout his time at WSU, he’s shown the athleticism, pass-rushing instincts and physicality to get to the quarterback. In an interview with The Seattle Times earlier this month, WSU defensive line coach Jeff Phelps said he would support Mata’afa if he decided to leave early for the NFL.